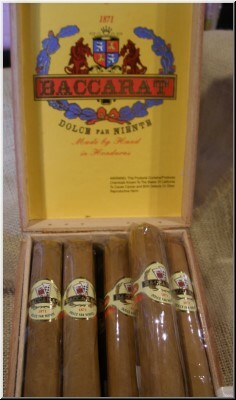 Baccarat Cigars are mild cigars with havana seed binder and fillers are surrounded by a Connecticut seed wrapper. A lightly sweetened tip is the finishing touch of this cigar perfection. Rated 87. Smooth, mild and sweet.